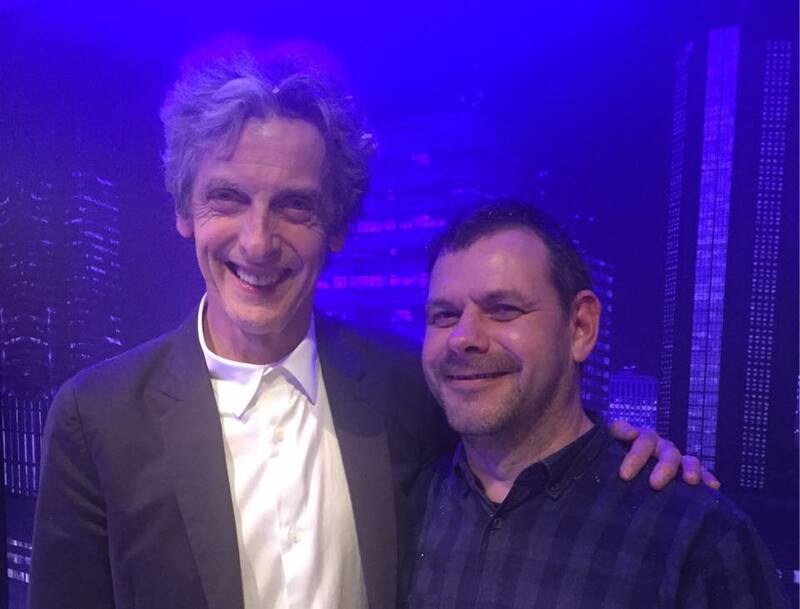 Regular readers may know that I am slightly a fan of Doctor Who, so it has been a great pleasure over the last few weeks to have had the chance to both interview and meet Peter Capaldi as part of my job. 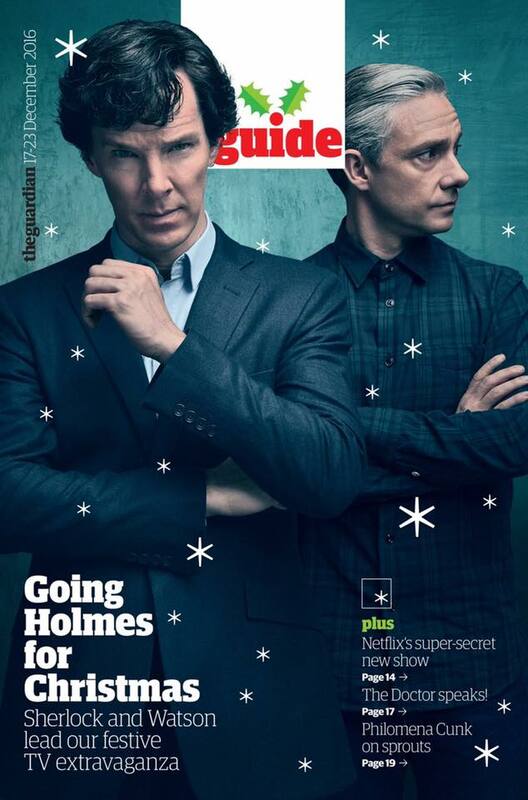 The interview I did with Peter was in The Guide last week, and went online yesterday. In a 1960’s Doctor Who episode broadcast on Christmas Day, the first Doctor got to turn to the camera and say “Incidentally, a Happy Christmas to all of you at home!” – would you like the opportunity to break the fourth wall like that in a Christmas special? I’ve broken the fourth wall a couple of times already in the show, so we don’t want to make too much of a habit of it, but yes, that would be fun to say “Happy Christmas” to everyone – but in a way we do just by giving them the show. What’s Christmas like in the Capaldi household – do you have the TV on? Lots of actors say they can’t bear to watch themselves? Since Doctor Who started having a Christmas special I’ve always watched it. It has become part of the day. So I can’t now tell my family they can’t do that just because I don’t want to look at my fizzog. So I hide behind the sofa – because I’m scared of my acting. Since leaving the role, Dave Tennant has come back for “Day of the Doctor” and has started doing the 10th Doctor Big Finish audios. You know at some point you will leave the role. Are you comfortable with the fact that effectively you will be the Doctor for life? There will be stories written about your incarnation for many years to come. Would you be happy doing audio books and appearing in the occasional multi-Doctor story after you’ve left the show? I don’t know. It depends really what happens to it. What the nature of those projects are. You know there’s no point coming in and being a Doctor Who that you don’t like. There’s no point in turning up in something just for the sake of turning up in it. So it would depend on what those projects were. Generally they’ve all been of a very high standard, and the Big Finish things are fantastic, and the multi-Doctor stories have all been great. But one would judge by the individual thing. It’s a wonderful privilege to be Doctor Who, and when the time comes for that to be over, one of the delights of it is that, in some respects, it’s never over. Peter Davison (the fifth Doctor) says it is the longest job in the world, because it never stops. We’ve just been celebrating the fiftieth anniversary of Patrick Troughton taking on the role. In many ways he had the most difficult job of any actor playing the part, as he was the first one who had to reinterpret it. Was there anything you’d say you’d taken particularly out of Troughton’s portrayal of Doctor Who? Well I think it’s inevitable if you are somebody of my age. I grew up watching William Hartnell, Patrick Troughton, Jon Pertwee, Tom Baker. Whether or not I was ever going to play Doctor Who, they would have all had an influence on me as an actor, because I loved them. Patrick Troughton was an extraordinarily naturalistic kind of actor, in this bizarre, strange, fantastical kind of show. In fact, actually playing the part now, I admire now what they all did on the show so much more. I get to work with CGI and prosthetics, you know the show looks better than it’s ever looked. Those guys were all there with bits of cardboard and fibreglass, and never for a second did their commitment to the truth of that falter. Jon Pertwee would throw the doors open and come storming in and you knew everything was going to be alright. He could read the telephone book and make it absolutely heroic. Tom Baker would always have you teetering on the edge of your seat, as to which way he was going to go, whether he would be the benevolent Time Lord, or the chaotic Harpo Marx type character. I think they all fed into my DNA as an actor. But I deliberately try not to consciously do anything, but I’ll suddenly find myself clasping my hands, and people will be “Oh, that’s very Pat Troughton” but I’m not consciously doing that, I just happen to be clasping my hands. “You’ve got white hair so you’re obviously imitating Jon Pertwee.” I’m not, I’ve just got white hair. 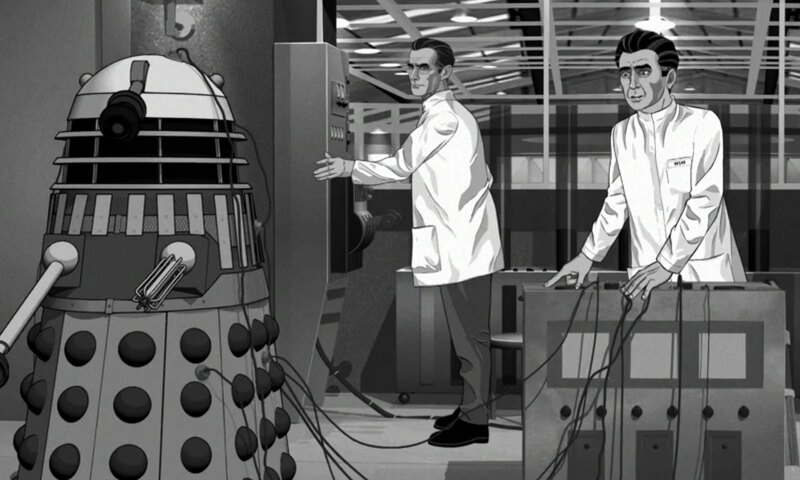 Did you get to see Power of the Daleks animation that the BBC recently released? No, I didn’t see it. Doctor Who hasn’t received his copy yet. The current Doctor Who. [Laughing] It remains a mystery to the current Doctor Who what it is like. He’d love to see it, if you know anyone who has got a copy. There was actor called Robert James who plays Lesterson in Power of the Daleks, who was the scientist, who was a great, great friend of mine. I never talked to him about it. I don’t think he realised how important it was to people. It is so weird for me to see him appear in the little trailer, because he was a great friend, and to see him animated is very sweet.